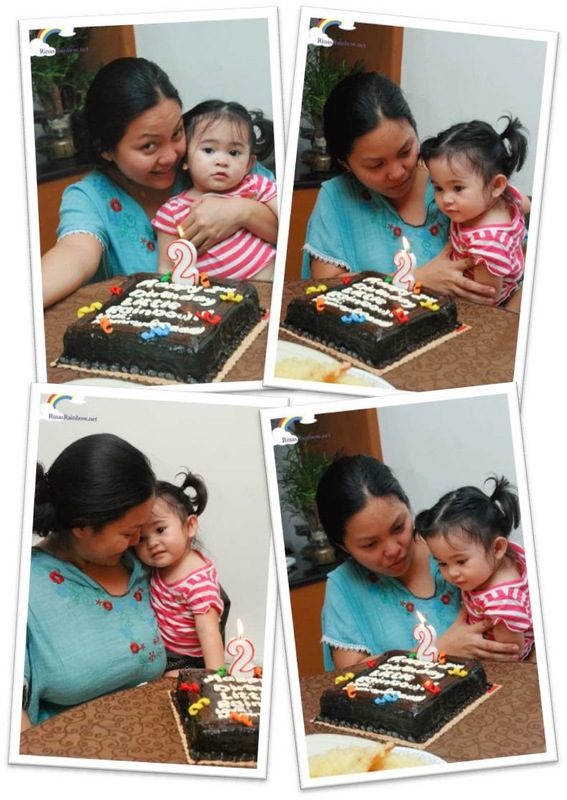 Rina's Rainbow: A Simple But Rewarding October 17! And then Rain wanted to go on the mechanical rides at Cosmic Kidz which was right behind The Creamery. 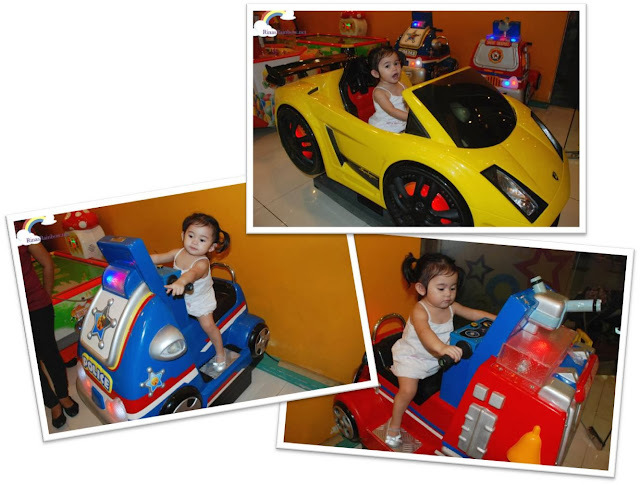 Her favorite was the yellow racing car. 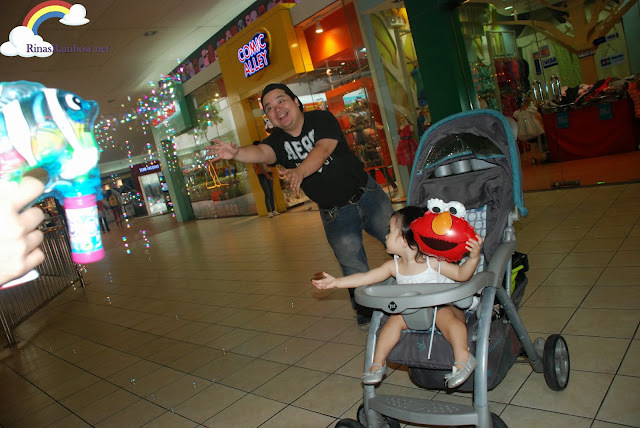 Seems like it was only yesterday that I was the one wanting to ride that mechanical UFO ride at the old Vira Mall with my dad when I was a toddler. Now I'm watching my little girl enjoy the same type of rides! Good thing they had a promo of 10 tokens for only P50! So she got to ride 10 times! 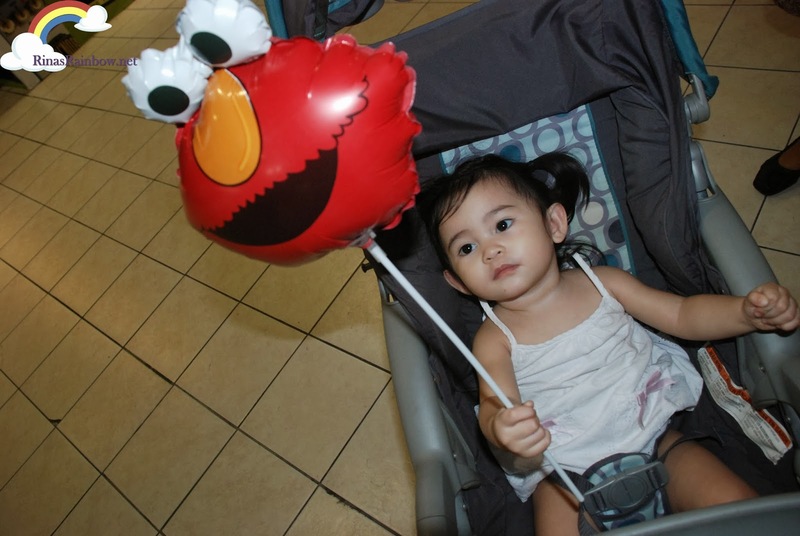 I was also able to buy her an Elmo balloon! Rain had fun watching the bubbles demo from the booth that sold the Elmo balloon hehe' And looks like it wasn't just Rain who was having a bubbly time! Then we headed home. That evening we had dinner with my dad and sister who lived near by. They prepared some yummy Japanese food from Jitaku, a Japanese house restaurant inside our village. It's our go-to take out place whenever we get sudden cravings for tempura hehe. 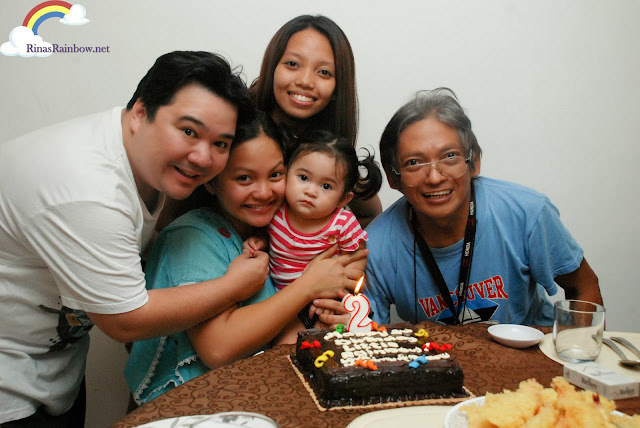 And because we wanted to make the day extra special for Rain, we ordered Red Ribbon's 8x8 Chocolate Dedication cake! Because it had more than enough space, I was able to put exactly what we wanted to put. I was also able to buy a number 2 candle for only P10. Rain wanted to touch the flame more than she wanted to blow it haha! With a little more practice she'll be able to blow her own cake soon hehe. 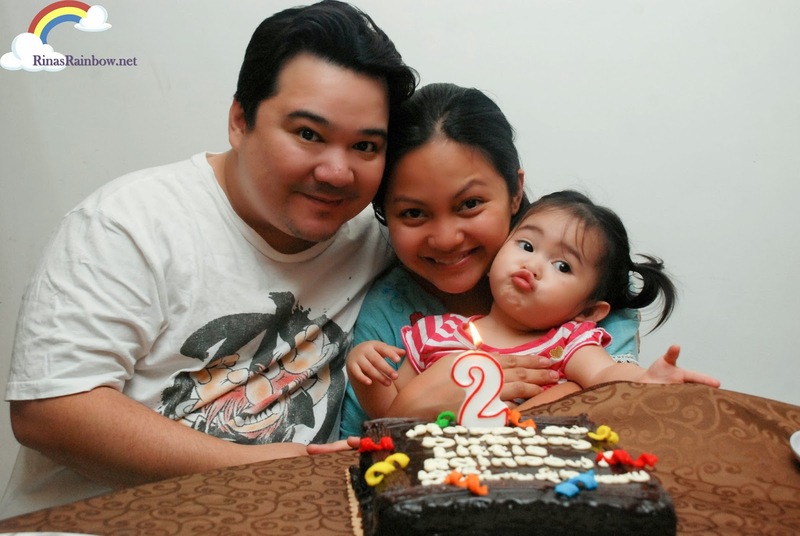 For only P299, this cake is a steal! The cake is really moist and yummy! An inexpensive way to make a simple celebration special and personal! By the end of the day, I was so happy that we were able to do something nice for Rain on the day of her birthday without an arm and a leg! 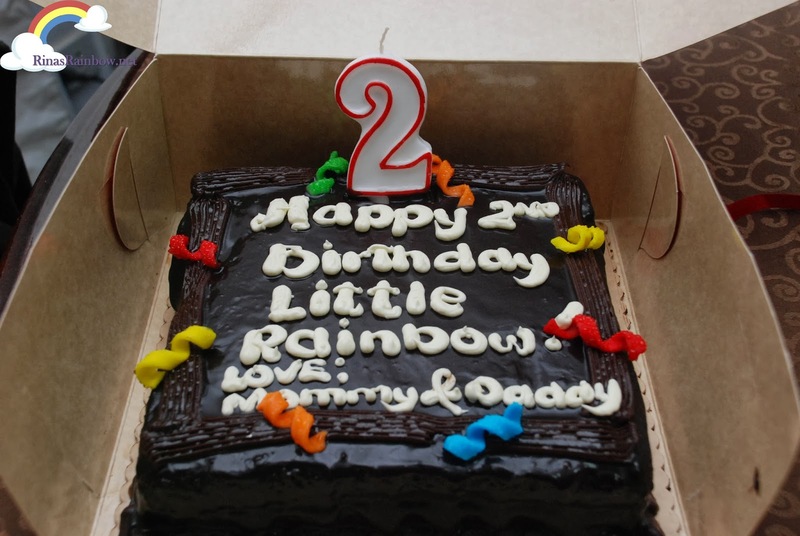 Just some good vibes, good food, good cake, and apparently, a mechanical ride for the little Rainbow was all we needed! Belated Happy Birthday pretty Rain! Happy birthday rain! you can never go wrong with red ribbon. i love their cakes too!